1. 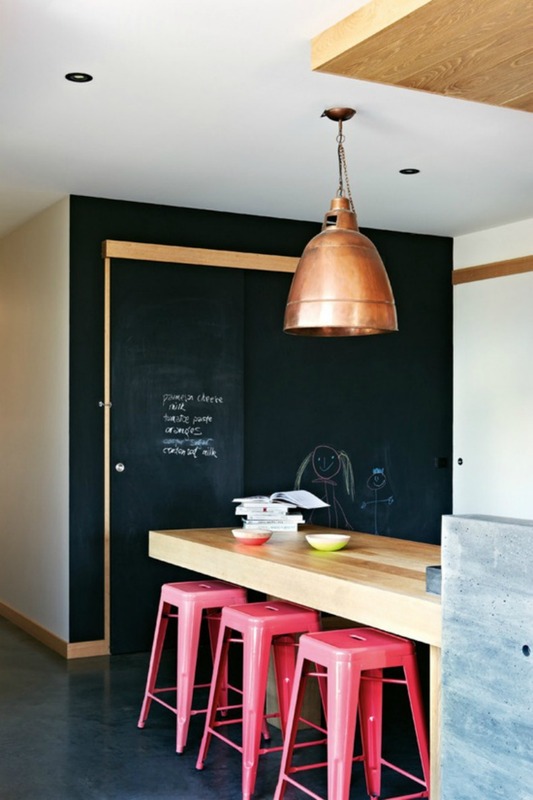 Add a splash of color to the Living Room by painting a built in bookcase. 2. 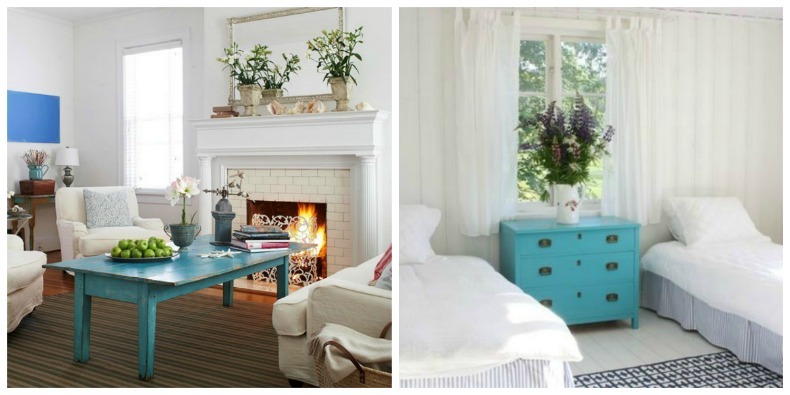 Coastal painted furniture can add a color and brighten any room. 3. 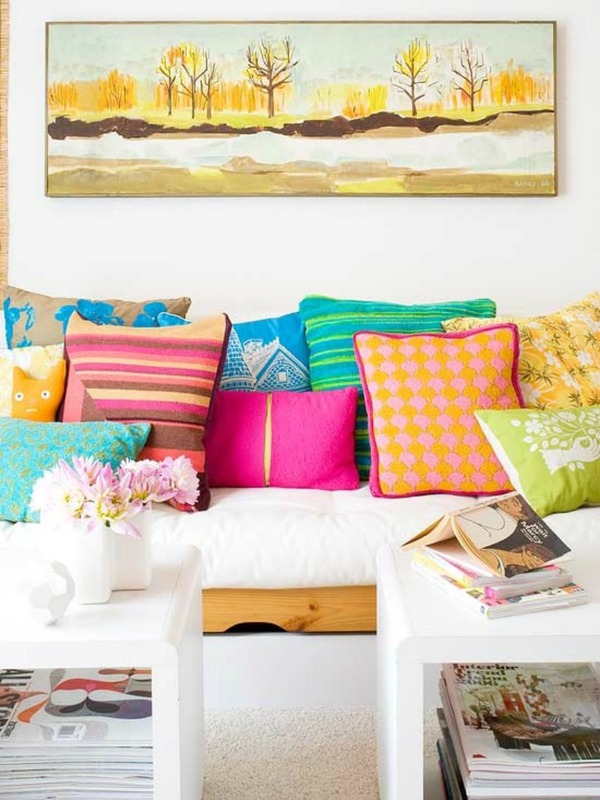 One of the easiest and least permanent ways to add color to a coastal room is with throw pillows. 4. 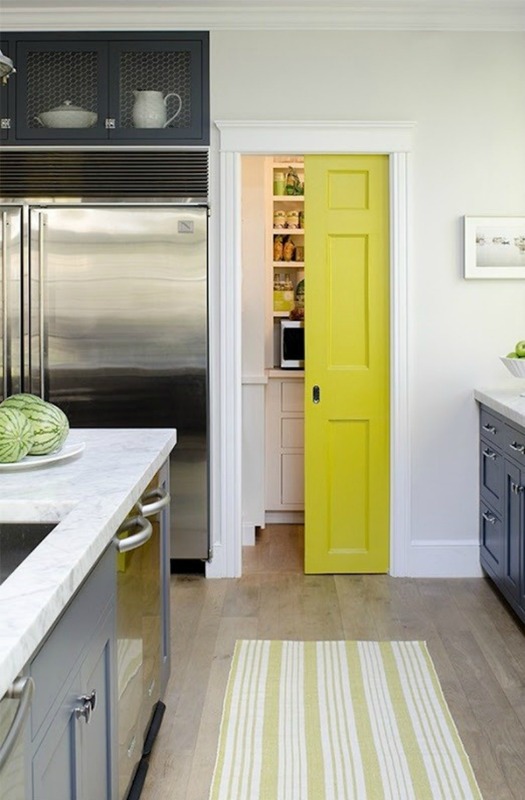 Paint a door to create interest in a room missing a pop of color. 5. 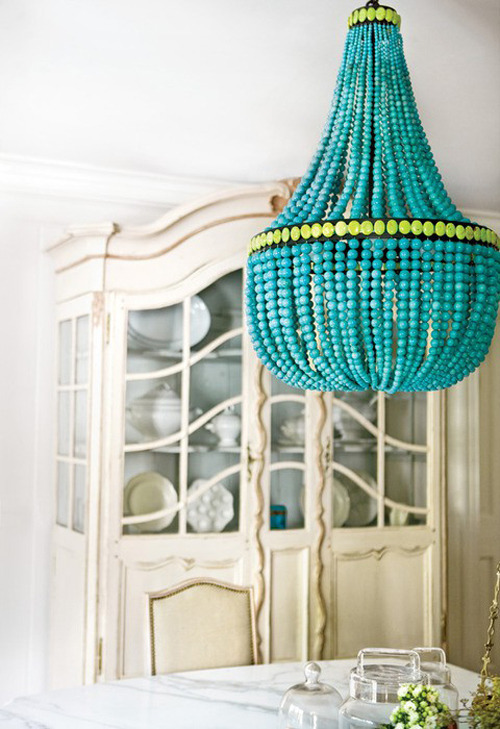 Incorporate a brightly colored piece of furniture to a space for a stylish burst of color. 5. 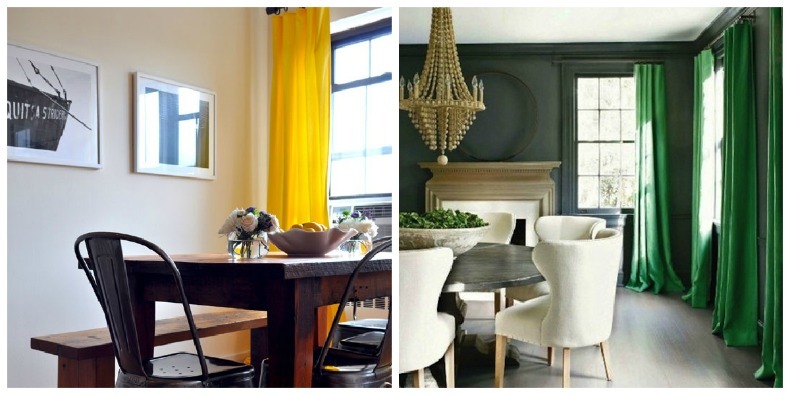 Fabric can bring color into a room in many forms, the biggest impact is usually as drapes. 6. Coastal chandeliers come in great vibrant colors to add spice to any space. 7. 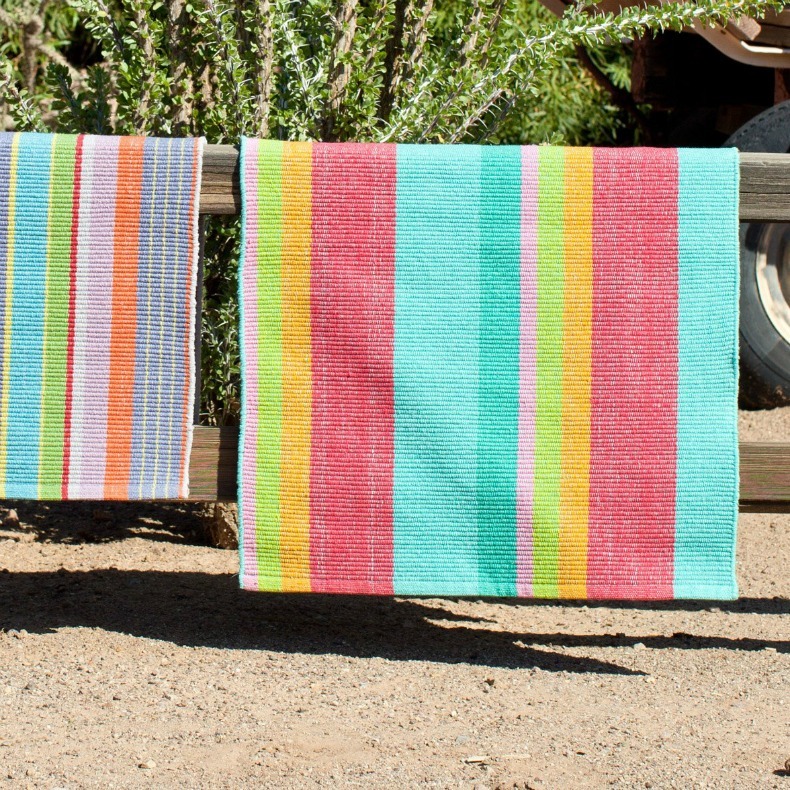 Area rugs can bring color into your coastal space while grounding the furniture. 8. 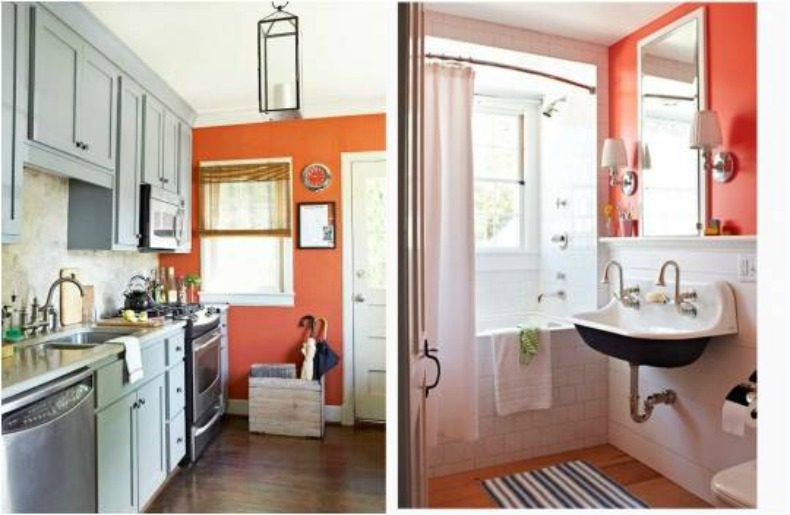 Paint can transform a space and by adding color to an accent wall. 9. 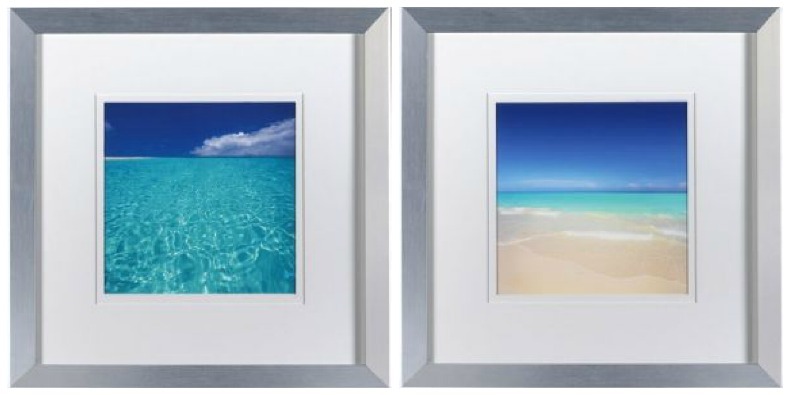 Artwork adds interest and color to your coastal room. 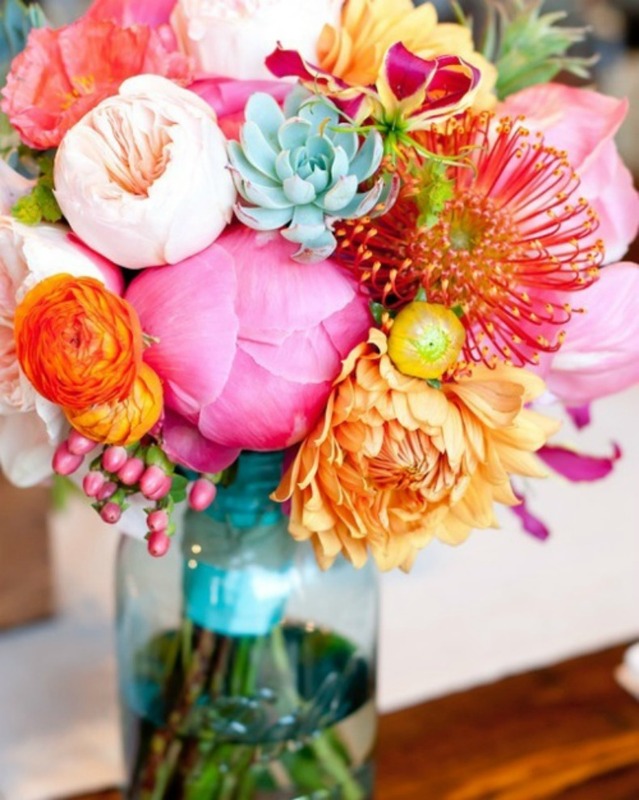 10.Your coastal space will be instantly brightened with a pop of flowers.